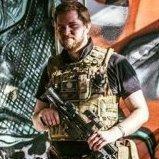 Hi guys, so I thought it would be an interesting topic to discuss the trend with new airsofters wanting to play as snipers, and what influences this. So, to start off, Ive been talking to many of my friends, and got about 5 of them into airsoft. When I asked what gun they wanted, they all said snipers. I offered assault rifles, but they refused it and said they wanted snipers. Very few new players want to take up a different, and in most cases more needed role, and even less of them really understand what it means to be an airsoft sniper. thankfully, as a newbie I can proudly say I walked a different path, part of me wanted to be a sniper, but I knew it was different than it was commonly portrayed so I went with my first gun, the classic army MP5 (very reliable, never once failed me) and now I have a CM16 carbine G&G combat machine. So, I think the first, and largest cause of this is video games. Now dont get me wrong, this isnt a thread about moaning about how bad video games are, I love video games, I'm a game designer so they are a large portion of my life. So, in video games, the sniper character is portrayed to be special, the infantry class is shown to be disposable and indifferent to the millions of other troops, so video games just put them off to be unimportant. But as a sniper, you are in a league of your own, you have the ability to take an entire army without them ever seeing you. Now, in airsoft, this is not the case. Many players in games will lay there waiting for an enemy for up to 5 minutes, so when you tell them they wont get action for a long time, they assume its the same as this, without knowledge that in airsoft it can take up to an hour, sometimes longer. The sniper is also portrayed to be a unique class, one that nobody else is. Unfortunately because of this, everyone wants to be a sniper, so its no longer a unique class. Finally, a bad point to most sniper games, is how the soldier behind the gun is shown compared to the gun. In airsoft, the user of the sniper is the skilled one, the sniper is just his tool. In video games, many a times is the sniper as a gun portrayed to be the skilled piece, and the operator is merely its guide, so many go in thinking 'If I have a sniper, I am a good player' when they should be thinking 'If Im a good player, I can be a sniper'. Now this isnt to say video games are doing it wrong, and while many are, this is not a rant about the state of the common FPS (I could do a whole thread about how generic they are, but not now). The point of a game is for fantasy, for escapism, if you had to wait for hours upon hours in a game, especially on single player, while it could accurately reenact the job of a sniper, it wouldnt be as much fun as a game where you can just spray down enemies with a bolt action sniper would be. I could go on about this topic into far more detail, but I think I've covered the jist of it. So, what do you think about new players desire to be a sniper? The sniper role requires patience and unfortunately that is a quality I do not posses, I just like to run and gun lol. However, having a fully upgraded sniper rifle does make the role less frustrating, as that one round you need, in theory is going to be more accurate and effective. This is not always the case though. I personally wanted an AEG from the start because I love the thought of fully automatic lol. The sniper role didn't appeal to me until recently, which I have given up already. Unless you have the techy knowledge to upgrade a sniper, then I think the main role would be AEG. However, there is a way round this, paying somebody else who knows what they're doing to upgrade the sniper for you lol. Just a few thoughts I hope your friends would find useful. Good luck to them. A friend of mine refuses to buy a side arm, he thinks you can just do the 'bang' rule. Which we all know, is pants. The sniper is his first gun and he thinks that he will be able to use the sniper for CQB. Well, If words won't convince him, then someone pistol whipping him will. I find it funny that this thread has popped up, since someone I know (who has never been to airsoft before) has already bought a Warrior L96! Since I started going to my local site last year, the number of snipers has went up from just 1 to about 5 or 6, including me. It is really strange, but only a few two people I know have started off as snipers. They say they enjoy it but I can tell they would rather be running around whereas I am the complete opposite, I have an AEG and a quiet spring shotgun, and I enjoy the kills with the shotgun more, even though they are harder to get. I am one of those "sneaky bastards", I was ten feet way from an enemy player but all I could see was his face and about three of his team mates further away (one being a sniper and I didn't want to shoot the guy in the face from that range). Best feeling when you can take out the other three without even alerting the closest player where you are . Some people are just suited towards one role or the other, and you don't usually find out until you have played for a while. I can see the appeal though, they think they can sit behind their "standard infantry" and get loads of kills. They don't realise that a stock AEG will go just as far until after they have to put a lot of money into their snipers to make them anywhere near as good to do that. Another reason I think is because they see "450 fps" and think that this means extra range or they can hurt their friends or people they hit. In my last U18 game there were about 6 snipers, 3 of which were wearing hoodies, 2 of them had no optics and 5 of those 6 were attacking the objectives with the AEG users. I went to that skirmish with a group of friends, including a guy who wanted to get a sniper rifle. After having a go with a borrowed sniper and my MP5 he saw sense and his first AEG is arriving this week. I bought an A&K SVD last year with money I had inherited and put £80 of upgrades in, but I got tired of being put into the airsoft sniper stereotype. I wasn't taken seriously by anyone after I took the gun out of the bag because I had taken it to a skirmish after the 2012 influx of sniper noobs rolled in to the site. The SVD lay unused until I sold it to buy upgrades for my MP5. Thing is, as a sniper I played properly compared to the snipers who hide in bushes. Most of my work was covering objective attacks, though. yeh some of the kids at chobham are just BAD snipers. Do love bad snipers. Had a couple of kids turn up to a site, with 450fps snipers and spring pistols as backup. Being a sniper is an art, not a skill. It's ridiculously hard and I have so much respect for those who are able to do it. Yeah, I just looked it up, I was sure there were some comments missing, but you're right. Ostrich160, please refrain from making double posts in the future, or inform a mod if you do it by accident so that this doesn't happen again lol.